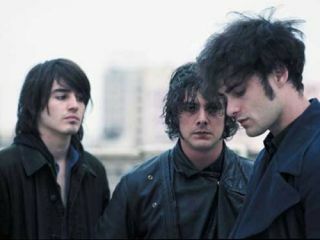 Troubled drummer Nick Jago has left Black Rebel Motorcycle Club (BRMC) for the second time in the band's 10 year history. The Raveonettes' stickswoman Leah will replace Jago for BRMC's upcoming European tour but remaining members Peter Hayes and Robert Levon Been claim that the change is not permanent. Jago broke the news on the band's blog: "I just had dinner with Rob and Pete and, well, I'm not in the band anymore. They presented it to me like they need a break, I took it as I am fired again and to be honest with you I respect their decision. I don't make it easy for them". Hayes and Levon Been had a different story: "It's not true that he is fired. We just feel Nick needs time to sort out exactly what he wants right now. His heart and all his energy and attention is on his own solo project". "He is our brother, our musical partner, and we love him dearly and look forward to playing with him again in the future". Jago was first estranged from the group in 2005 reportedly due to drug problems. This followed a string of strange incidents including when Nick stood silently on stage for a full nine minutes after accepting an NME Award in 2003.